Cybercriminals are like Elmer; they live to bring harm and reap the rewards. While cybercriminals are more successful than Elmer, they are like him when it comes to their relentless pursuit of their prey. They must win only a small percentage of their attempts to succeed. The first step in outwitting cybercriminals is to be aware of the potential risks and have your wits about you to outsmart them. 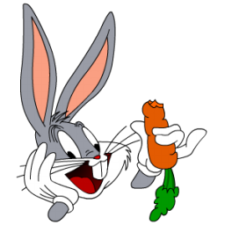 While Elmer encouraged Bugs to say his “pwayers” because Elmer was “hunting wabbits,” Bugs always succeeded due to his quick thinking and careful planning. Small businesses are a huge target for cybercrime. An attack on your organization is inevitable. The question is not “why cybercriminals would target my business” but rather “why wouldn’t they.” Small businesses must accept that they are a huge target for cybercriminals. Midsize companies now represent over 70% of data breaches, and the threat is growing. Cybersecurity experts report that, from 2016 to today, successful ransomware-type attacks have tripled due to sophisticated use of social engineering and other schemes. An attack on your organization is inevitable. The average attack on a small business today can cost as much as a quarter million dollars. Ignorance and “pwayers” are not a strategy here. So, what can you do to be like Bugs Bunny and outsmart these cyber “wabbit” hunters? Raise Staff Awareness: Inform employees of the risk. They are often the route “in” that cybercriminals use. Create a cybersecurity policy that lists best practices to follow. Be specific about procedures to keep data safe—including creating and frequently changing unique, strong passwords. Include specific instructions on steps to follow if a breach occurs. Update Technology: All hardware and software must be updated regularly to protect against the latest threats. Consider a security app for staff members using a smartphone, laptop or tablet. Backup with a Vengeance: Lost, stolen or deleted data is not a huge problem if you have a backup copy somewhere else quickly available to you. Backups should be adequately secured with encryption and password policies in place. Limit Access: Access to confidential, prized business information should not be a right for anyone. Access is a privilege. Be proactive in deciding what data folks should have access to, rather than what they should not. This approach reduces the risk of unintended user access to confidential data. While digital collaboration and sharing data is more prevalent than ever, try to manage it. Some organizations do not let sharing occur outside their organizations unless a specific protocol is enacted. Secure Wi-Fi: Mobile devices of all sorts have made wireless access necessary in many environments. Be wary. Secure wireless access only for employees. If possible, set it up so employees do not know the password. Set up a separate network for guests. Guests should never have the same wireless access enjoyed by staff. Click here and let IT Radix help you implement these recommendations in your business environment. Together, you'll take a bite out of cybercrime and succeed at convincing those “wascally” cybercriminals that it’s duck season, instead of “wabbit” season!